QR codes are being used vigorously for commercial as well as inventory tracking. QR codes helped a ton in logistics and marketing too. The name Quick Response (QR) code refers to the two-dimensional bar codes with alphanumeric text. Some businesses put their URLS in QR codes so that users are directed to their websites. This is better known as mobile tagging. With the advent of smartphones, QR codes work like a decoding software, which functions on camera phones. Today, QR Codes are used increasingly and you can find QR codes in various places such as product labels, billboards, and advertisements. There are reasons why QR codes are being used as standard bar codes. They can store and digitally represent data comprising of links, texts as well as geo coordinates. Smartphones can scan these QR codes easily and there are no more hassles of using a scanner to decode QR codes. From the business perspective, QR codes help a lot in marketing a product and reaching out to customers quickly. For a product catalogue, there can be QR codes for each individual item so customers can easily access the related information, customer support number, and other details. When a customer wants to refer it to his or her friends, it can be done from his or her smartphone. You can also get an amazing business card designed with a QR code so that your customers or acquaintances can easily add you to their address book on mobile. To encode and decode QR codes, you can use a QR code library. With a QR code library, you can get an image for the required content. This encoding can be saved in GIF, JPEG, Bitmap or PNG formats. On the other hand, a QR code library also helps in decoding an image. If you are looking to use the code, then you must know that the library may be used for ASP.NET, .NET 2.0 or Windows Mobile device application. Another open source QR code library is the PHP QR Code. You can generate a two-dimensional barcode and this is based on libqrencode C library. It also offers API to create barcode images in PNG and JPEG formats. The implementation is purely in PHP. There are myriads of naive and artistic QR code generation techniques. Yet the most essential element that should be kept in mind is that the QR code must be able to scan correctly. QR code is the way of the future because it can store very complex data in a tiny matrix. Given the technological boom, QR code is definitely going to be used much more extensively because it can be used to interpret a wide spectrum of data. For instance, there is a mobile application which can interpret a music signature to provide detail on the artist and discography. In the near future, QR codes may be used for face recognition or it be used to read photos to generate related information. 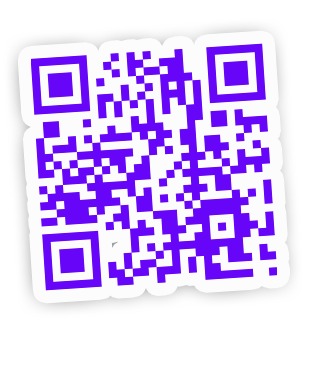 Here are some resources on QR code libraries.